We've all been there. You have a note to make a follow up call to someone whom you've been following up with for weeks (or maybe even months). You stare at the phone, frozen with the belief that she hates you, she isn't answering because she's not interested, that you're bothering her. It makes it very hard to pick up the phone. Those beliefs can paralyze you and eventually destroy your direct sales business. 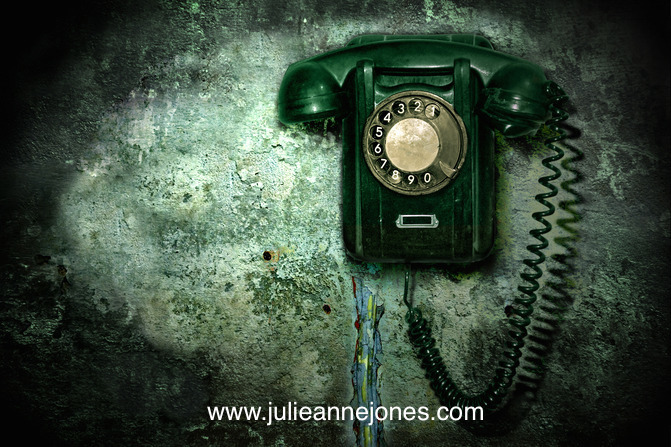 I'll let you in on a secret that just might help…pretty much without exception, the things you tell yourself about making follow up calls and what the person on the other end is thinking about you are all lies. 99% of the time, if someone hasn't called you back or answered your e-mail, it's not about you. It's about how busy they are. And don't kid yourself. Those lies you're telling yourself are only about you. If you can't prove they're true (and of course, unless you have a hidden camera into the person you're calling's home, you can't prove they're true), they must be lies. I’ve been called the “follow-up queen” simply because I always call when I say I’m going to, and I keep following up, no matter what, until someone tells me to stop calling. This approach has supported my success for years. Here's the trick to this. When I send an e-mail, I always give those on my list a clear way to opt out right at the top and bottom of every e-mail. I do the same thing with my follow up calls. My message lets them know my follow up philosophy and how to opt out of my follow up list if they would prefer I stop calling. That way, if I haven't heard from them, I can assume they still want to hear from me instead of assuming they wish I'd stop calling. It's a huge shift and one that can literally change your business. I had one client who followed up with a woman for nine years before she finally was at the right time and place in her life to start her business. And she thanked my client for continuing to follow up and for never giving up on her. I created a diagram of how my follow-up system works and I thought it might be helpful. Here it is, in a nutshell. 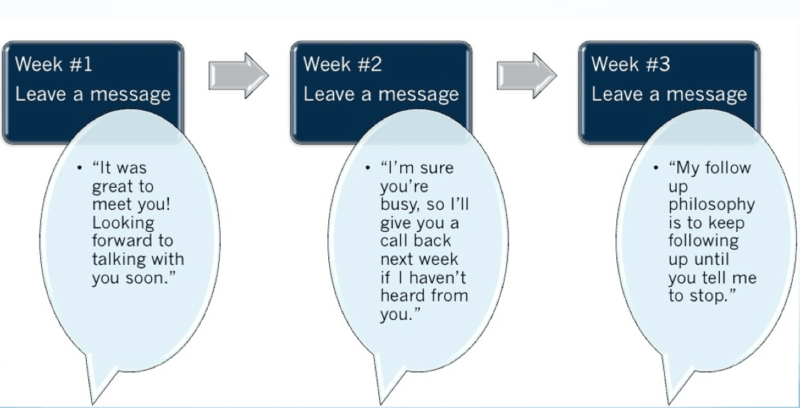 Then beyond week 3, simply schedule a follow up call every single month until you either reach the person you're calling or they request to be taken off of your list. I make a point of reiterating my follow up philosophy every few months just to remind them by saying, "My follow up philosophy is to keep following up until we've connected. If you'd rather I take you off my list, just give me a call or shoot me an e-mail and I'll do that. Otherwise, I'll look forward to hearing back from you soon or I'll follow up again if we haven't connected." Trust me, this simple three step system will completely change the way you look at follow up calls. And that could mean you actually start making them, which will impact your business in all areas, guaranteed.